I'm not sure what possessed me to buy these at 1AM a few weeks ago. Maybe it was the pay day excitement of restocking up on foundation. Maybe it was the boredom of the pinks and nudes that all just seem to blur in to one another these days. Perhaps I thought I'd get adventurous and come up with some amazing avant-gard look and become a famous Instagram MUA... 1am purchases are often filled with idealism and self delusion. 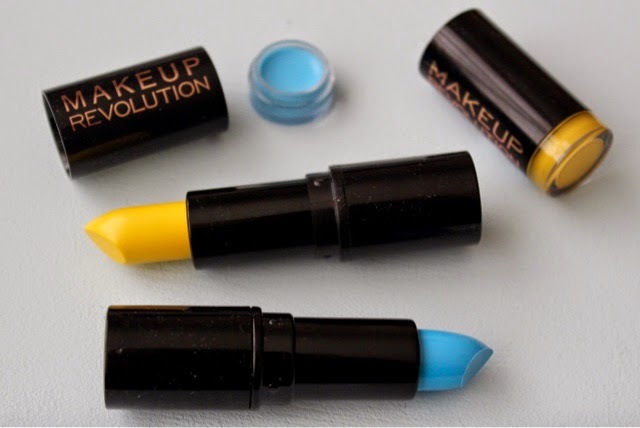 Whatever the reason, when the lipsticks themselves arrived I was a bit meh. 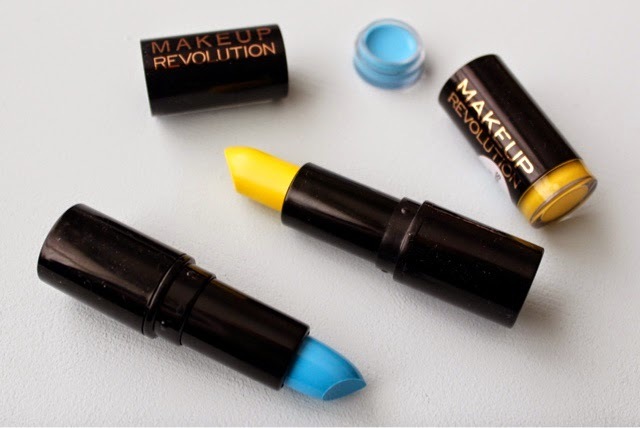 The colours are amazing and I've heard awesome things about Makeup Revolution so I was expecting big things. Instead I got an exact copy of the MUA packaging and a similar formula although perhaps slightly more buttery leaving them more sheer. Not bad for their £1 price tag and it wouldn't stop me buying them but I'll not rush out to empty the Superdrug shelves just yet. 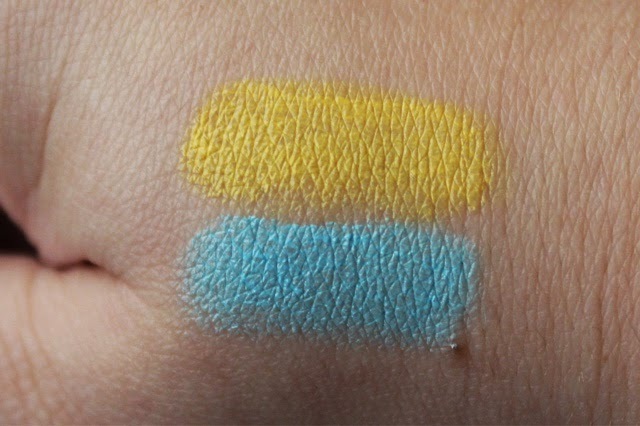 I was happy with MUA as a brand. I didn't need another carbon copy. 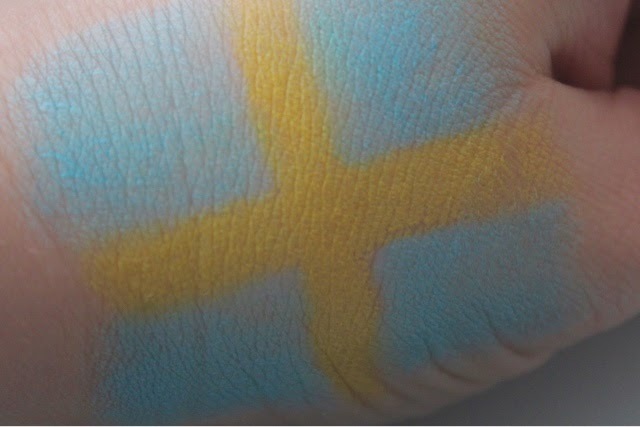 When swatching I noticed that they looked like the colours of the Swedish flag so I played about. 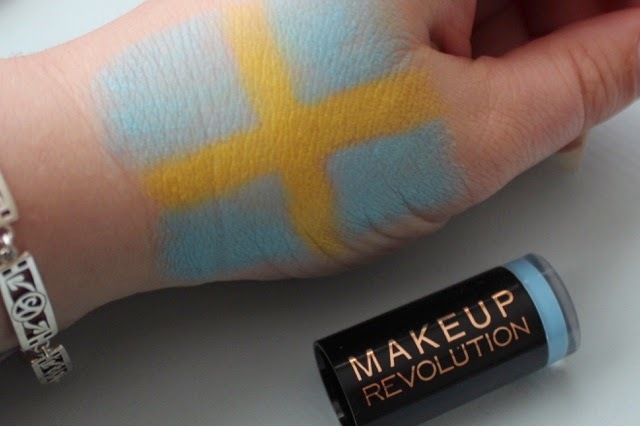 And then Sweden, who are my ultimate favourite Eurovision country, won Eurovision last night! This is definitely kismet, this post was destined to be published today!